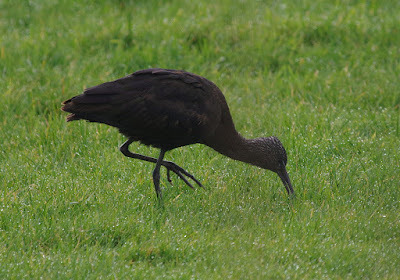 After visiting the Antiques Fair at the Show Ground, Linda and I had things to do in Potter Heigham: so, after a quick cup of tea, we headed eastwards to Great Yarmouth to look for the reported Glossy Ibis. 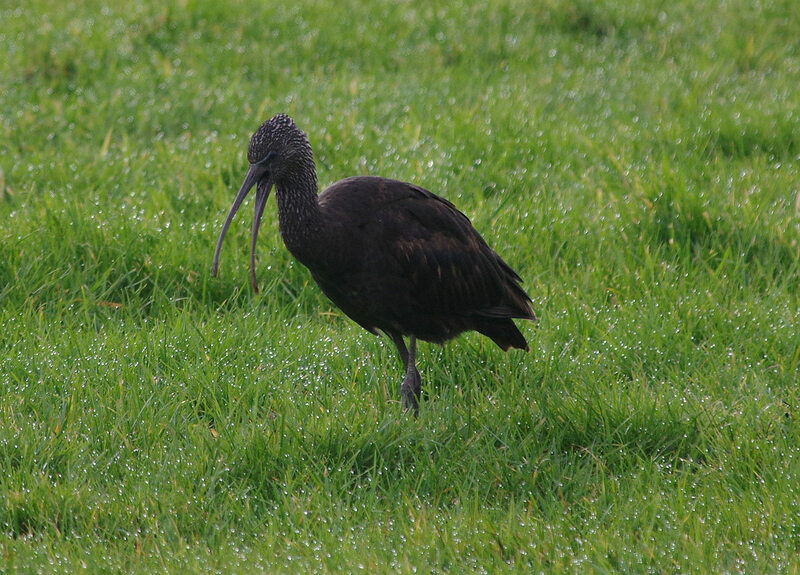 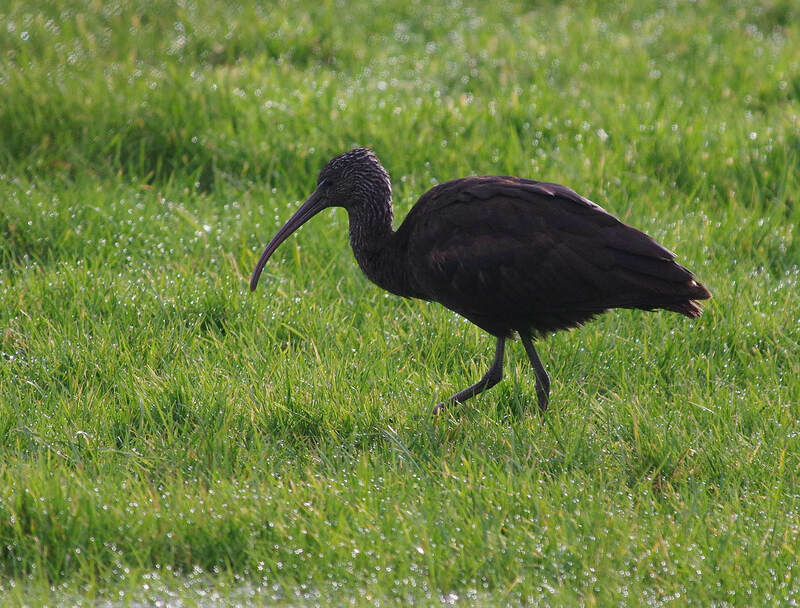 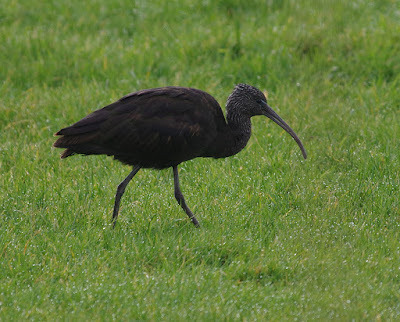 As we climbed out of our car we met a birder walking back to his, who said the Ibis was visible from the sea wall: dressed in Crombie coats and 'town shoes', we nevertheless picked our way past the puddles to the river bank. 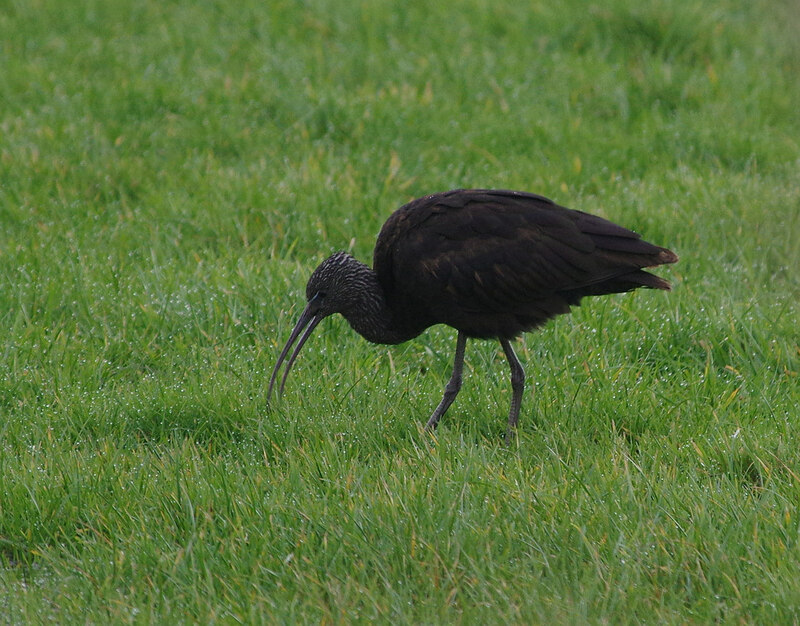 Here we bumped into 'Lingwood Murray' who gloomily told us the bird had flown off over a small copse. 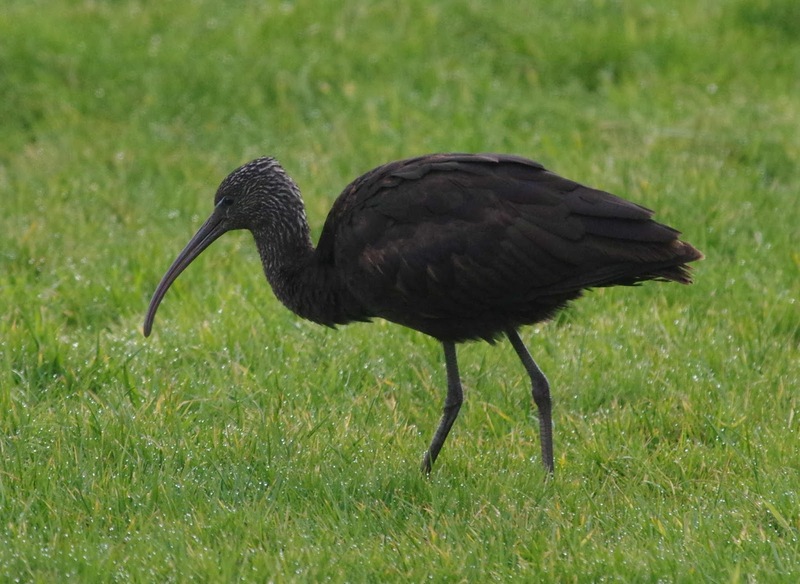 After waiting to see if the Ibis would walk back into view, we joined a couple of other birders and wandered across the boggy meadows. 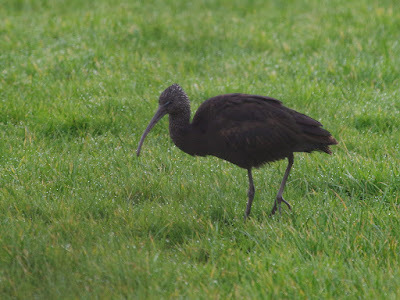 Quite soon one of the locals refound the bird and we all watched it from a respectable distance, until a birding tour group arrived and flushed it back over to the car park! I'll post a video later tonight!